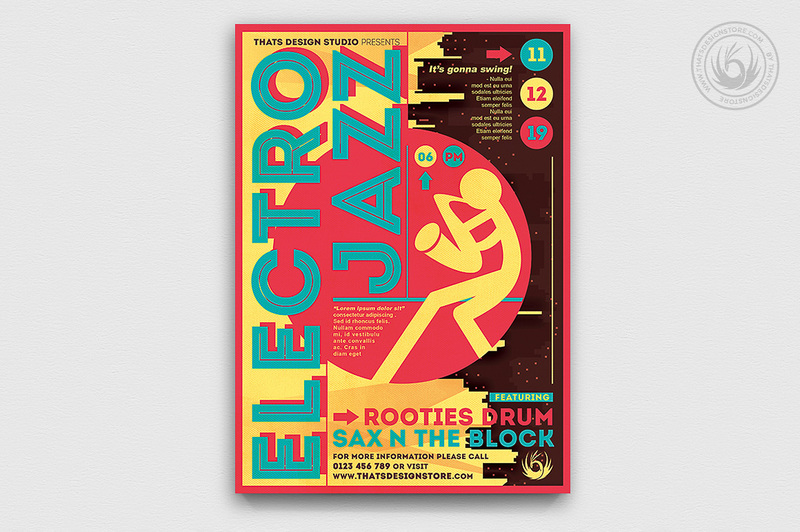 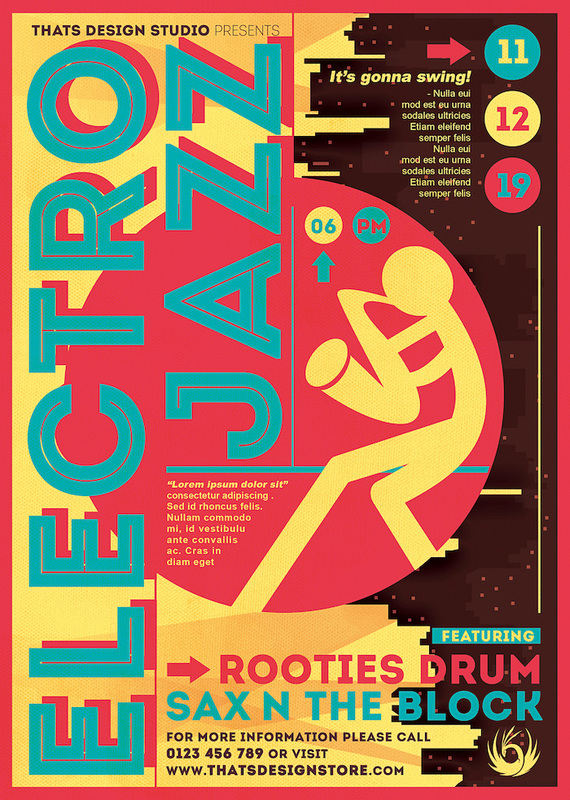 Check out this Electro Jazz Flyer Template designed to promote a Jazz Band, Concert. 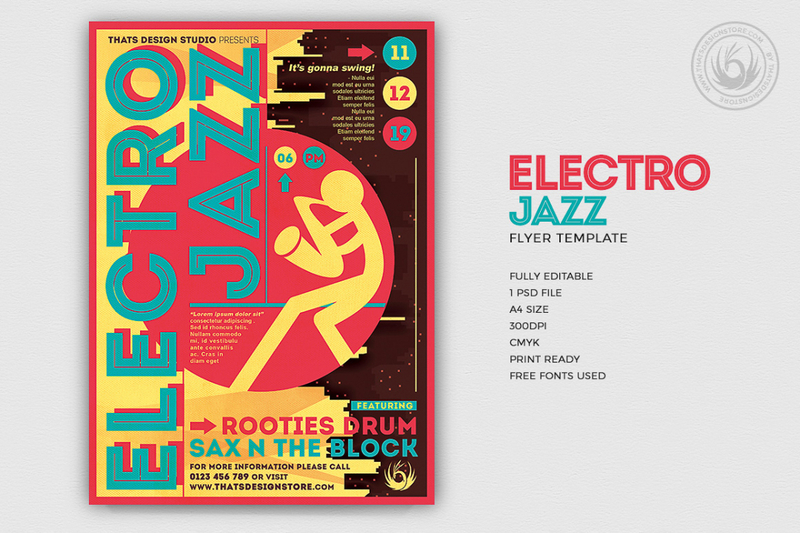 Customize your Jazz Festival flyer template easily. Download this Jazz Flyer Template so you can Customize it with your Photoshop. It’s ready to print and 100% editable.